The Starbucks cup in the photo was the creation of my nephew's girlfriend. Not only is she smart and beautiful - with a great smile - she's also incredibly talented and creative. Oh, and on top of that, extremely sweet. I typically dislike using that word to describe women, but she is just that - gentle, kind, friendly. She is the antithesis of most of the hoochie teenage girls I see running around these days. 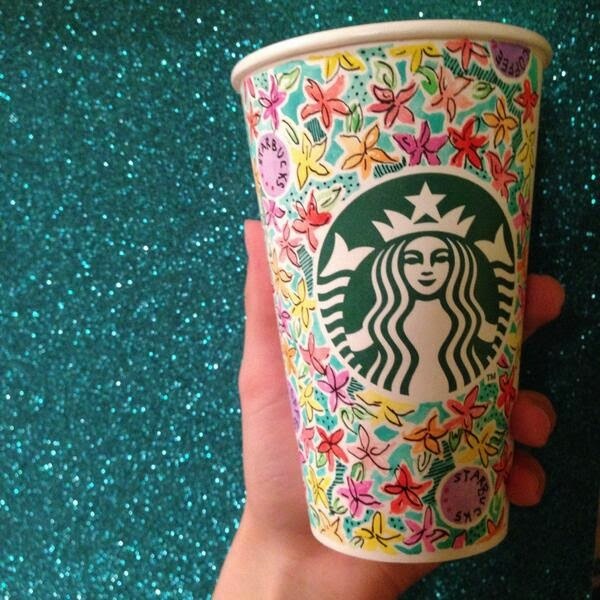 She created the art for the Starbucks White Cup Art contest. I think it's the perfect photo to welcome May. A siren surrounded by spring flowers.